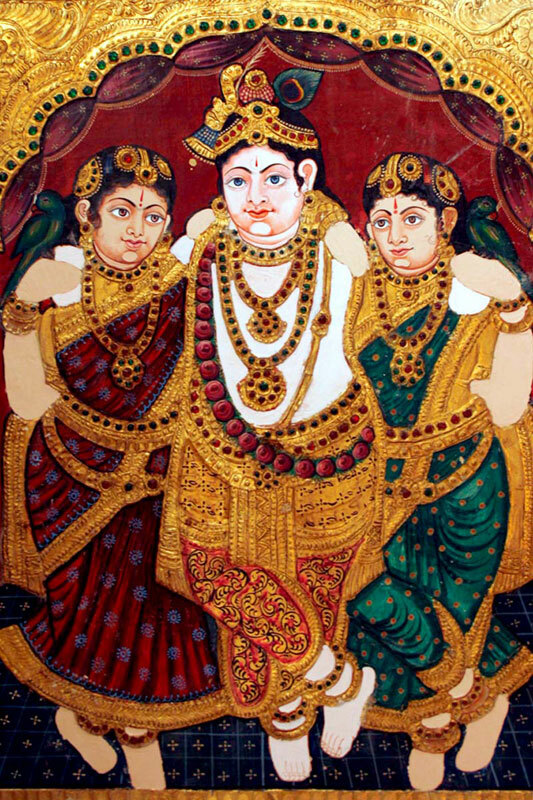 Tanjore painting involves numerous stages, such as meticulous layingout, prefect sketching, elegant ornamenting with stones, intricate embossing work and gold foiling the deities and finally the finishing enrichment. 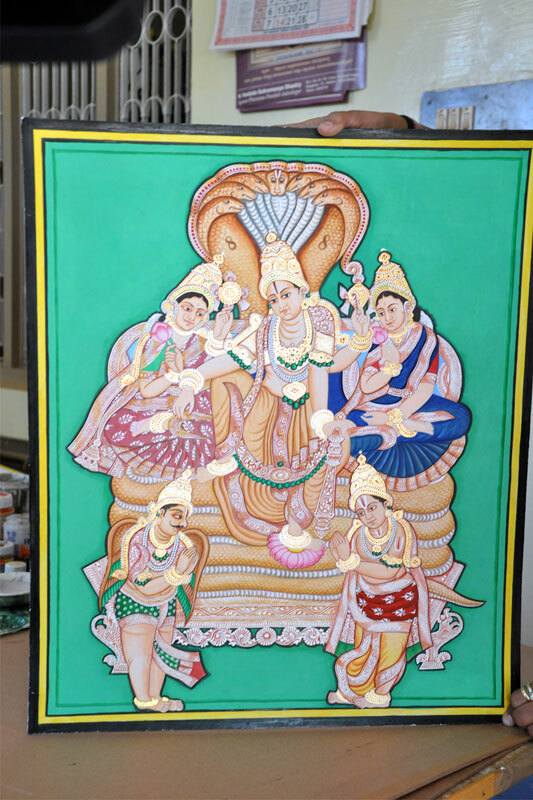 Embossing is done with a mixture of raw lime stone powder sieved through the muslin cloth and mixed with chalk powder, glue and copper sulphate in certain proportion. 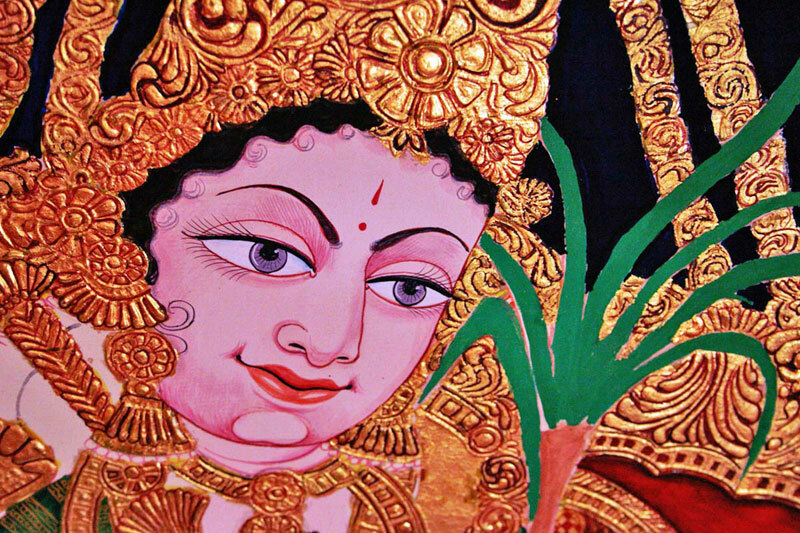 Gold leaves, semi precious stones and mirrors are used to give it the grand look. 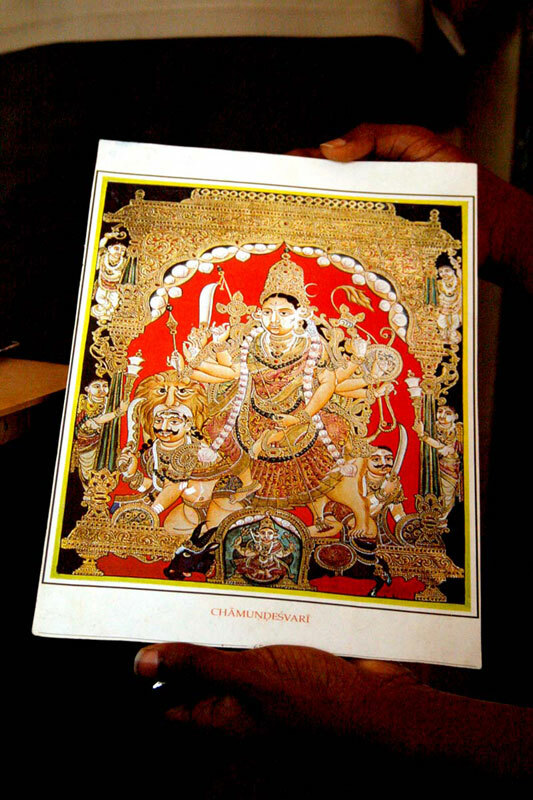 In the olden days gold dust or bhasma was used instead of gold leaves. 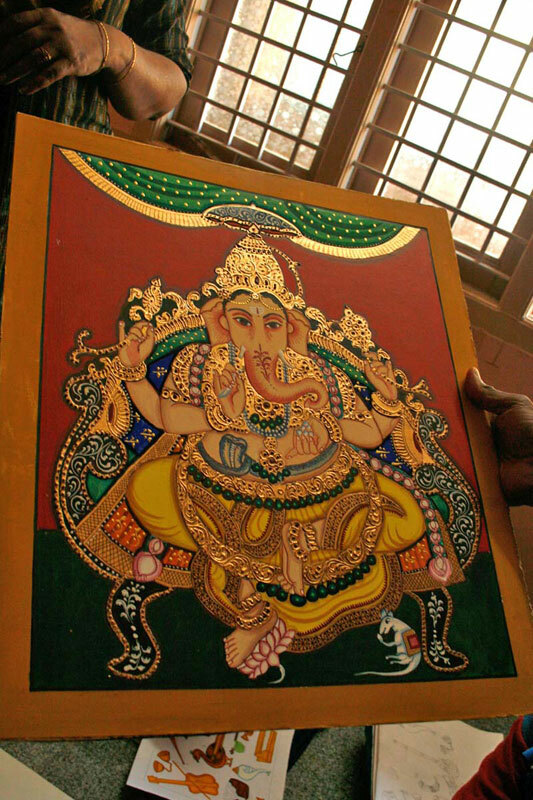 All the paintings are done with traditionally made gold foils. 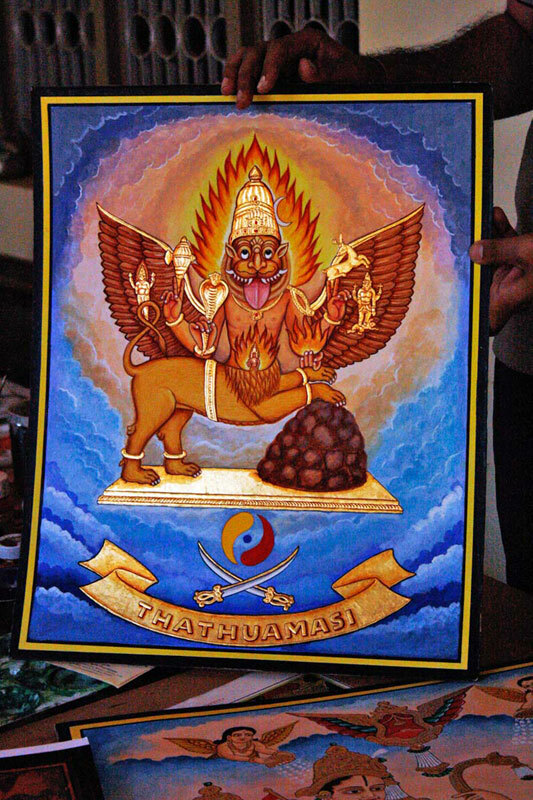 Colors used for painting are fungus resistant. 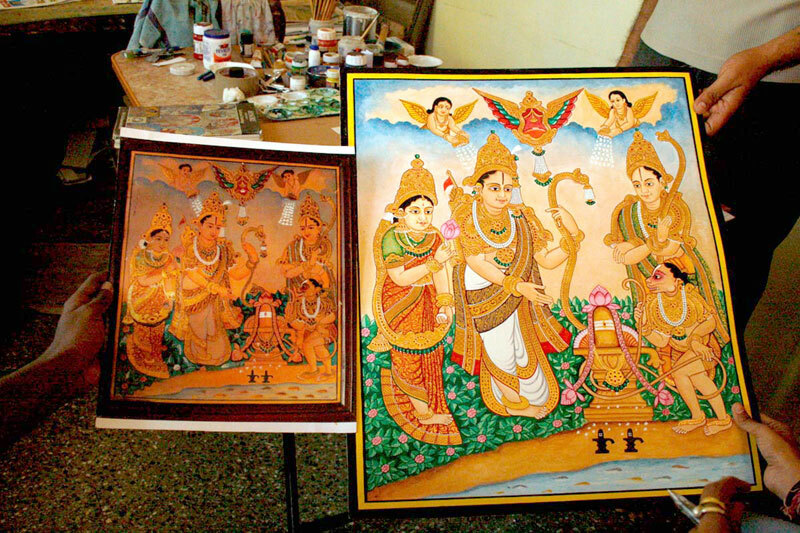 The painting lasts for generations. 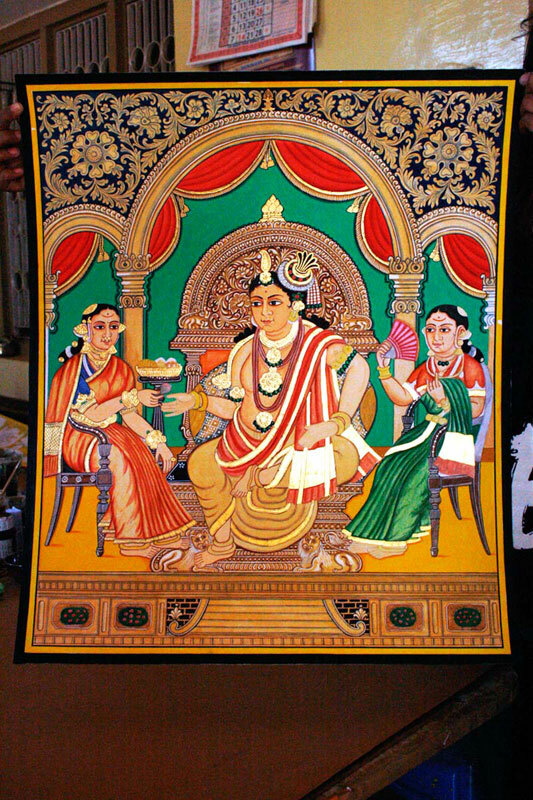 There are few differences between Tanjore and Mysore style of Painting. 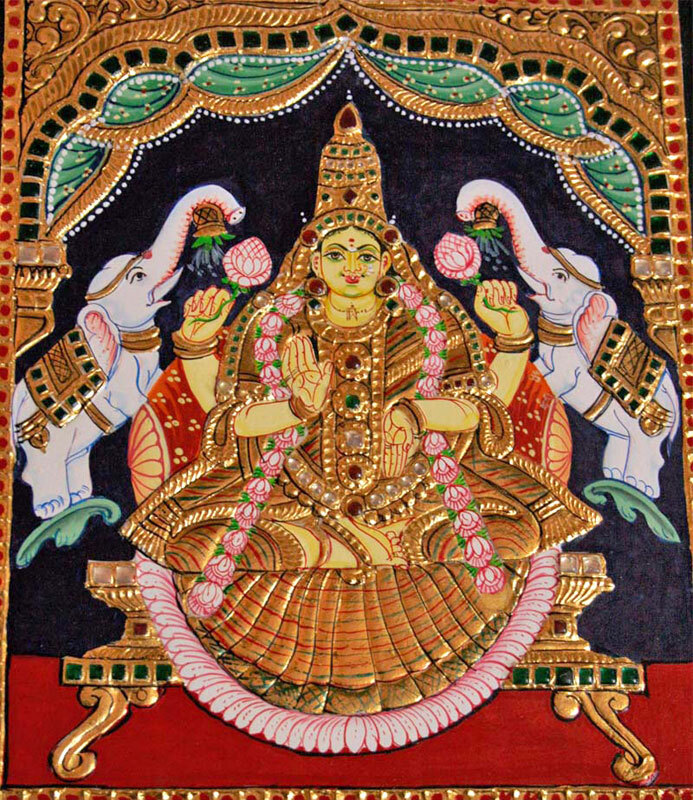 In Tanjore, the gesso work is thicker in comparison to the Mysore painting. They also put wooden cardboard to increase the thickness of gesso layer. That gives it a three dimensional feel. 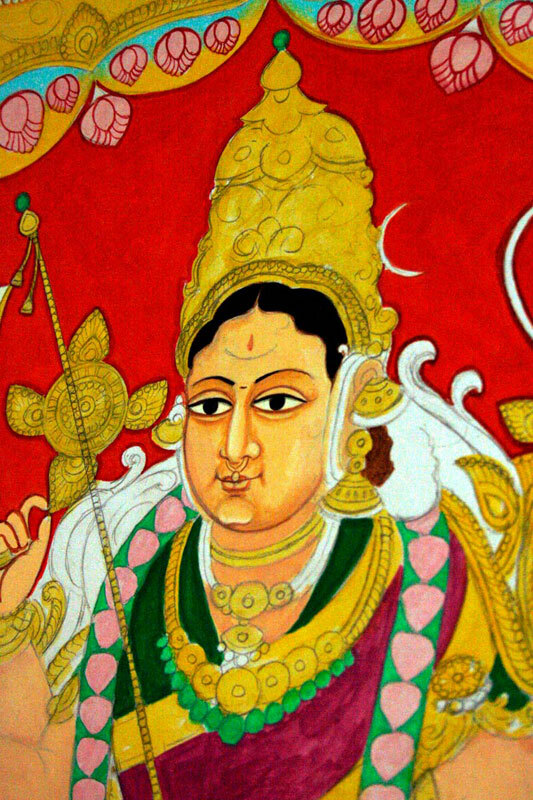 Color stones are used in Tanjore painting. 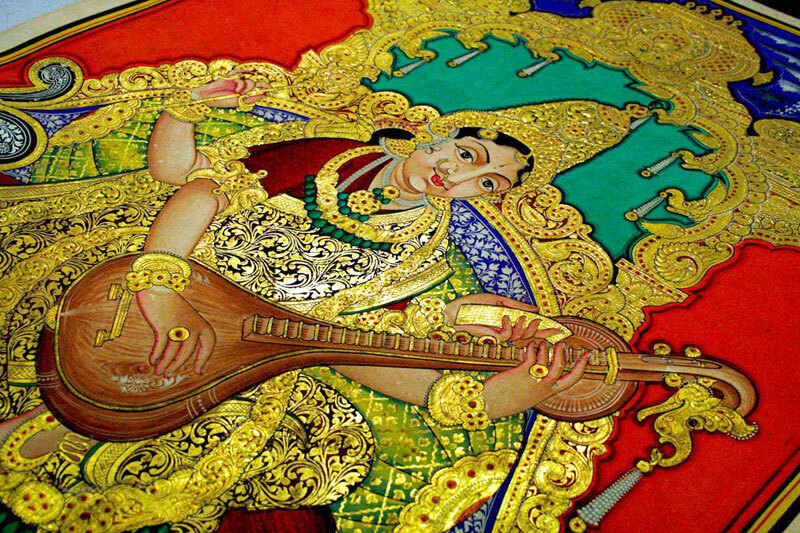 In Tanjore painting, the gold foil used is thick while in Mysore painting the foil is delicate in nature. 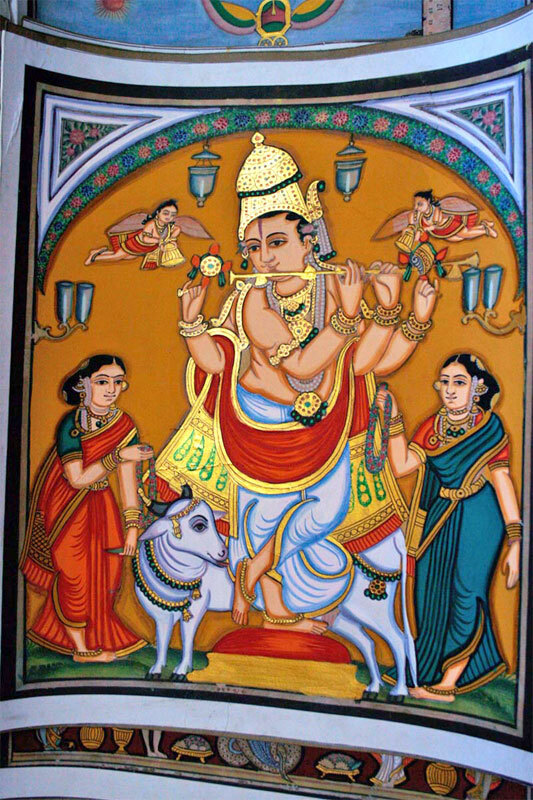 In Tanjore paintings main subject is to depict the life of Krishna, where as in Mysore Style, theme is Universal.